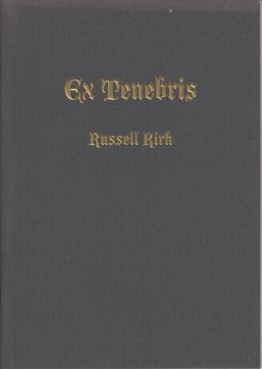 Ex Tenebris is a ghostly tale by Russell Kirk, with a Foreword by Senior Fellow Vigen Guroian. 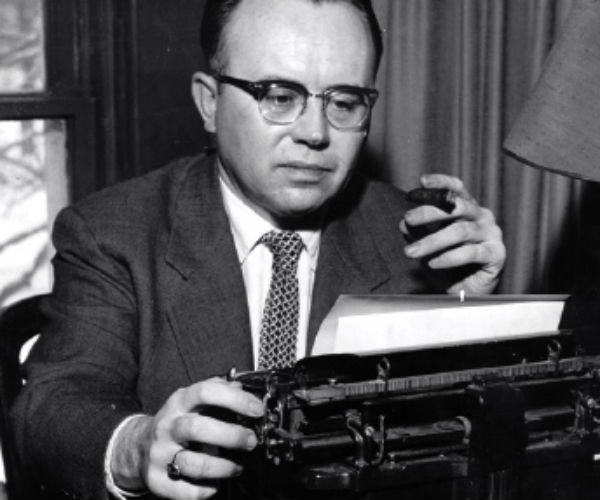 Russell Kirk (1918–1994) was a leading social critic, thinker, and writer best known for his work to define and energize the conservative movement in the United States with such books as The Roots of American Order and The Conservative Mind. But he also wrote fiction, including novels and several short stories, mostly gothic tales of horror and suspense; he won the 1977 World Fantasy Award for short fiction. Dr. Guroian’s edition of Kirk’s collected short stories, Ancestral Shadows, was released in 2004. Ex Tenebris, an early Kirk story, tells the tale of elderly Mrs. Oliver, who retires to a cottage in the now-abandoned English village of her childhood. She is harassed by the local planning officer until someone emerges from the shadows to intervene on her behalf. This story will amuse you—and perhaps cause the hairs to rise on the back of your neck—and will leave you thinking about architecture, tradition, what human beings really want, and how best to help our neighbors.